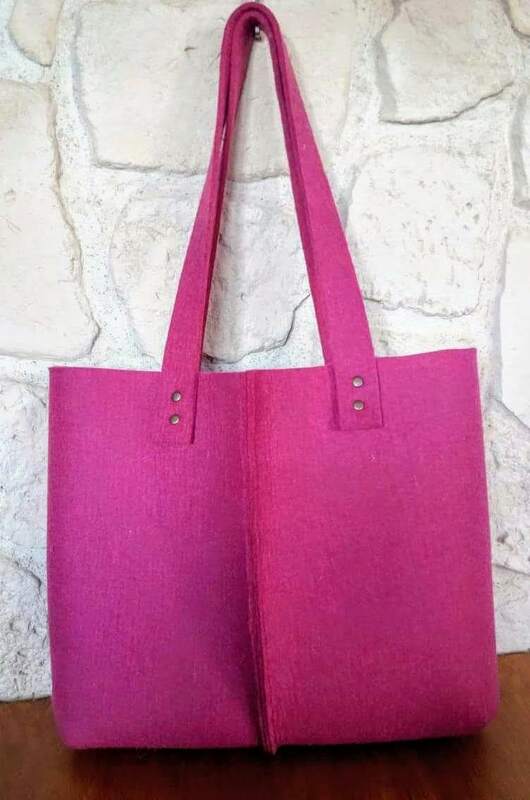 Beautiful, handmade shopper bag, prepared from 5mm thick, 100% wool felt in pink color, designed and made by Móni Bíró. 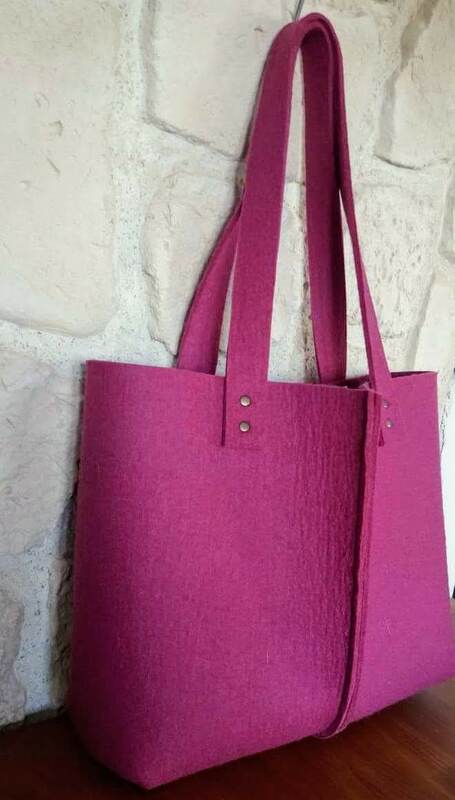 The 100% wool felt is long lasting like the leather, in meantime it is totally vegan, eco friendly, made without damage of the health of the animal. 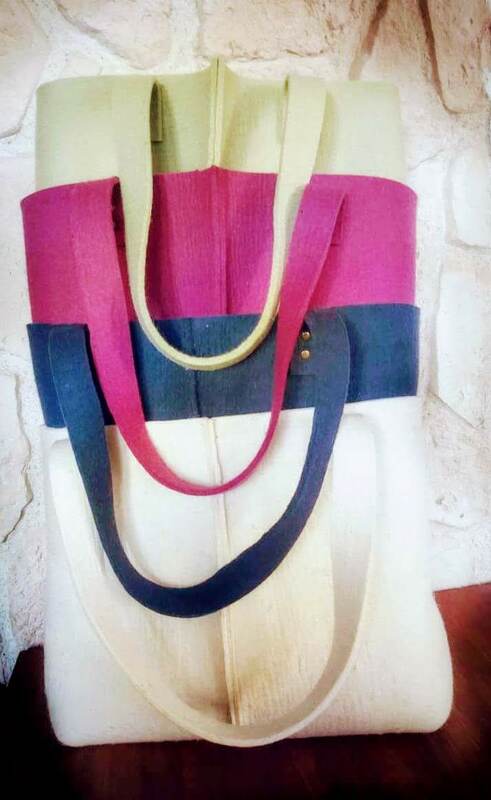 45cm wide, 35cm height, 12cm deep.